QuoteDevil can offer insurance cover for all types of commercial vehicles, from cheap van insurance to van fleets. We will search through all of the policies available to us to provide you with the best possible cover for the lowest cost available! 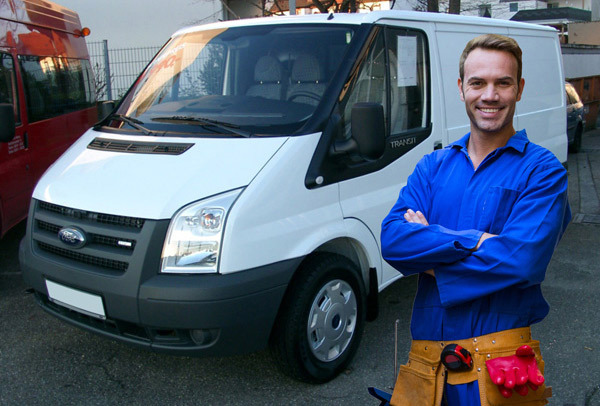 We can even help you tailor a commercial van insurance package that will suit your exact needs. QuoteDevil are one of the pioneers of arranging fast and low cost van insurance in Ireland. We started arranging cover in 2010 and have been helping reduce the cost of commercial vehicle insurance in the Irish market ever since. Once you complete our online quotation form, we can then quote you for commercial vehicle insurance and organise everything for you over the phone. We do business with most of the insurers in the market and we can offer you a variety of quotes and covers such as restricted driving or open driving. We have a variety of discounts available- for example, if you have branding on your vehicle it can help reduce the price and keep your van insurance premium as low as is possible. Van drivers, sole traders or small business owners know the value of QuoteDevil policies and trust us to look after their needs every day. Give us a call for a quote and we can compare cover and save you money on your premium. QuoteDevil are low cost van Insurance specialists. Let us save you money and give you great service. QuoteDevil’s Van Team is based in Ireland as is our customer service team and we are available for quotes or information Monday to Friday from 9am to 6pm and on Saturday from 10am to 3pm. Just send us some basic information and we can prepare a quote for you in minutes. At QuoteDevil we can offer you a Fully Comprehensive Commercial Vehicle Policy with 24 hour breakdown cover. You never know when you might need it! The breakdown cover we can offer includes roadside assistance and recovery anywhere in Ireland as well as a 24 hour emergency breakdown assistance line. 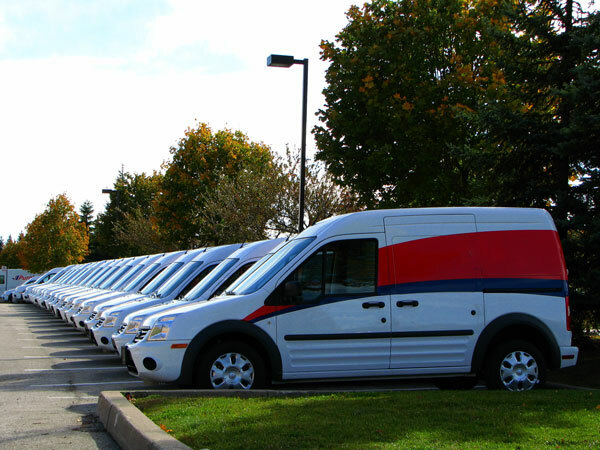 We can even cover you to drive another van while yours is being repaired. We also have a breakdown policy for older vehicles at a very reasonable additional cost. Give us a call and let one of our agents find the best policy for you today! We have a number of different options and we can go through all of them with you over the phone. If you have your car insurance with us we may be able to offer you a discount of up to 20% on your van insurance policy. Now that’s a saving! Even if your current car insurance is with someone else we may still be able to help. Our insurers look favourably on those who already have car insurance and may even be able to mirror your current No Claims Bonus, saving you money. Don’t have your own private car policy? That’s OK! If you are currently a named driver on your Partner or Spouse’s policy we could also offer you a discount. Our highly trained agents are here to save you both money and hassle so give us a call today! We also have a new multi-van product for two or more vans so give us a call. Am I Covered with a Trailer? Did you know our commercial vehicle policies / van policies include cover for the towing of a trailer as standard? These policies provide third party legal liability cover for attached trailers at no additional cost. If it’s total peace of mind you’re after, you then have the choice of adding cover for accidental damage to your trailer to your policy as well as fire and theft of your trailer at an affordable addition premium. Call QuoteDevil today on 01 254 1300 and speak to one of our van insurance experts about your policy needs. Description: Online Quotes from Ireland's only exclusively online Car Insurance Brokers. Product Description: Cheap Commercial Motor Cover Quotes from one of Ireland's leading van Insurance Companies. Make a Comparison and see how much you can save! Review: Getting a policy through QuoteDevil.ie gives me peace of mind so that I can concentrate on running my business.